Way back in July of last year, Monthly Adventures (or MA) on Ravelry hosted a Kool Aid Swap and Dye. 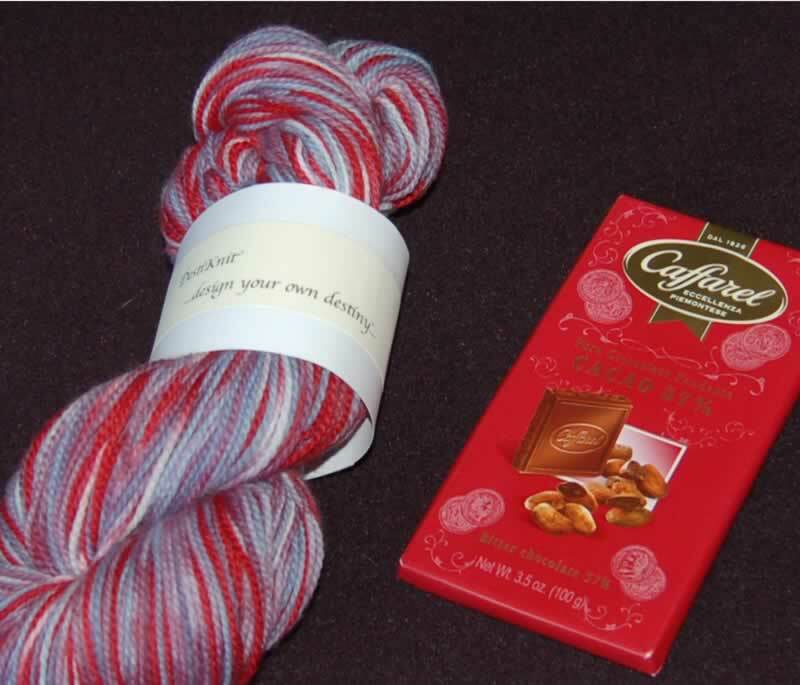 I received the lovely yarn below dyed by Kerrie, aka Destiknit (who has a great podcast that you should check out). This site by Knitty Otter helped me with the entrelac. And this video by Knit Witch helped with the backwards knitting. Comments: I did a couple of modifications in the entrelac cuff and found the pattern a bit vague. I used an "Eye of the Partridge" Heel, with the standard heel turn, gusset, and toe. 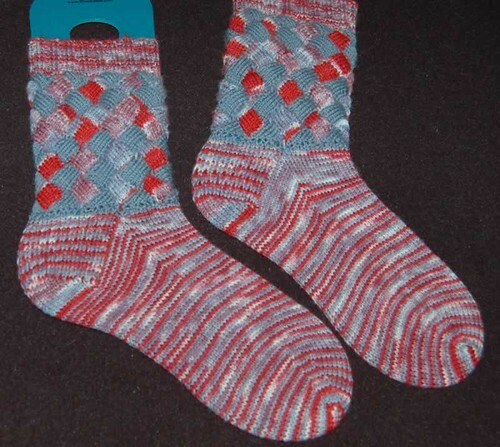 The socks look better on than the picture captured and I am happy with the end result. I can see why entrelac becomes addicting for some people!